Acacia Mining plc (LSE: ACA) who operates three gold mines in Tanzania has announced in its First Quarter Results 2015 that its gold production has increased by 8%. Brad Gordon, Chief Executive Officer of Acacia Mining indicated that the company has delivered steady production over Q1 2015, with 181,660 ounces of gold produced as compared to 168,375 ounces in Q1 2014. This is in line with the previous quarter and underpinned by continued strong production at North Mara mine, the company indicates. “We have continued to implement a range of operational improvements that will deliver progressive improvement at the mine over the rest of the year. 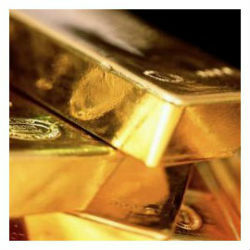 We remain on track to achieve our full year production guidance of 750-800koz of gold,” Gordon said. Acacia has been operating mines in Tanzania for over 15 years, having discovered and built two of the three mines it currently operates in Tanzania.